Our leather albums embody a traditional, classic look that will stand the test of time. The Italian leathers come in varying grain size and texture. These albums feature thick archival lay-flat matte pages and can be personalized with custom debossing. Includes 15 spreads/30 pages and a graphite presentation box. ADD A PARENT ALBUM and take 15% off. Parent albums must use the exact same design as the primary album. 1. Complete the order form to choose your album details including debossing on the cover, the material you'd like the book to be made of (leather or linen), the color of the material, etc. 2. Using the online gallery of images from your wedding day, you'll choose your favorite images from the day. From there, w will create a proof for you to review. You get up to three rounds of editing to your album where you can change any spread or image you'd like. Any additional requests for edits after the three rounds are subject to additional design costs. 3. After all the final edits have been made, your album will be ordered! 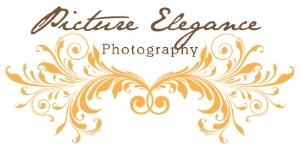 For local couples, your album will be delivered to Picture Elegance Photography first for inspection, to ensure quality control. Once the album is inspected, we will schedule a time to meet for album delivery. Clients outside the Charlotte area will have the album drop shipped to them. Quality of the book must be verified within 24 hours of receipt.